Michael Rosenbloom was born on June 19, 1953 in Brooklyn, New York. Two days later, visitors coming to the hospital to see the new-born baby witnessed the funeral procession of Julius and Ethel Rosenberg making their way to the cemetery on the streets below. Michael was raised in Brooklyn and spent his childhood and adolescence there, playing an inordinate amount of ballgames, primarily stickball. At the age of fourteen, Michael began to avail himself of the exploding rock music scene in the New York City area. As the 1960s were literally coming to a close on December 31, 1969, Mike was in the mezzanine of The Fillmore East watching Jimi Hendrix’s Band of Gypsys, thus closing out a decade in which he saw in concert such acts as The Who, The Jimi Hendrix Experience, The Doors, Cream, Led Zeppelin, Simon and Garfunkle, The Band, Jefferson Airplane and scores of other bands. Mike graduated from James Madison High School in Brooklyn in 1970 and went on to receive a Bachelor of Arts degree with a major in Linguistics from Stony Brook University in 1974. His junior year was spent at the Hebrew University in Jerusalem, studying primarily Hebrew language. During his year in Jerusalem, he also developed a deep love for the ancient land of his forefathers, including its most recent manifestation – the modern State of Israel. He received a Master of Arts degree at Columbia University in Hebrew Literature in 1976. In 1978, Michael immigrated to Israel. There he immersed himself in Israeli society and culture. In Israel, he married and started a family. He worked for a year as a teacher of English as a second language, and then for nine years at one of Israel’s major banks. Two highlights of his stay in Israel were serving in the Israel Defense Forces and representing the State of Israel as starting first baseman in the 1985 Macabbiah Games’ (the so called Jewish Olympics) men’s softball competition. Mike also played first base on national sports powerhouse – Maccabi Tel Aviv – playing a prominent role in the team’s winning three consecutive championships in the fledgling Israel Softball League in the mid-1980s. In 1987, he received a Master of Science in Management degree through a joint program with Boston University and Ben Gurion University in Beer Sheba. 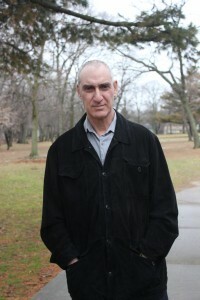 After reaching a crossroads professionally, Mike and family returned to the U.S. in 1988 where he has lived ever since. Mike has made his living for the past twenty-four years as a pension consultant, designing pension plans for small businesses. Mike’s writing skills were honed during the years he spent outside the United States. Wanting to communicate stories about his new experiences in an area of the world far from the family and friends he left behind, Mike would weave his stories in letters on the confined, four-folded page of an aerogram. "At the risk of being seen as biased I must recommend this little gem to any serious Who fans. I have been a devotee of The Who for just about all of my conscious life, you know, from the age of 12 or thereabout. I confess I have known the author for a very long time; that is not the point.What makes this short book so valuable is that it tells the tale of how a few schoolkids understood that their enthusiasm mattered enough to create! Anyone expecting another hackwork with a load of photo's they have seen before or some rehashed history can be reassured. This is a unique tale from a time before the corporate colonization of popular culture, when there was an 'underground', when being a fan counted for something more than being an email address on a marketeers sucker list. Interspersed are personal accounts of how this all ended with the (post Woodstock,) ' Stadium Rock ' sham that robbed the music-not only The Who's- of much of it's validity. As is pointed out, maybe obliquely, here is a story of the excitement of discovery. For the price of a keyfob or some other piece of junk from THEWHOSTORE, or whatever it calls itself why not learn something?" "If you are a Who fan and are looking for a book to read about the Who, you know that there are hundreds of books already written about them. How could there be anything new to write? But in When Stars Were in Reach - The Who at Union Catholic High School - November 29, 1967, author Michael Rosenbloom has managed to write a new and unique book about an intriguing and true story of how the students of a small Catholic high school in New Jersey convinced their school's administration to allow them to book a concert by one of the most high energy bands in rock history, the Who, to perform in their high school gym. Rosenbloom, who neither attended the school nor the 1967 concert, did extensive research to unravel the tale, painstakingly locating and interviewing those students, faculty, and the promoter who were there 46 years ago. Rosenbloom carefully weighed the 40+ year old and sometimes conflicting memories and weaved them into an interesting and insightful story. It is a fun little-train-that-could tale born out of a mixture of youthful why-not naïveté and emerging adult perseverance. This book is an entertaining read. I couldn't put it down and finished it in one sitting. It has great photos of the actual concert with basketball net and all." The Decoys Step Up to the Plate…Bigtime! (C) Copyright JB BRUMBAM Productions LLC (2012). All rights reserved.